Would you like to personalise your wedding garter with your names and wedding date? First choose your wedding garter and add it to your shopping basket, some have a text option included already. This personalised text is machine embroidered in blocks of 18 characters and spaces. This is for two blocks of text, I’ve called Names and Date, but they can say anything. I usually put one block inside on the left and the other inside on the right. If you’d like your personalisation somewhere else or in one large block, please let me know when you order. Are you looking for a Personalised Garter? 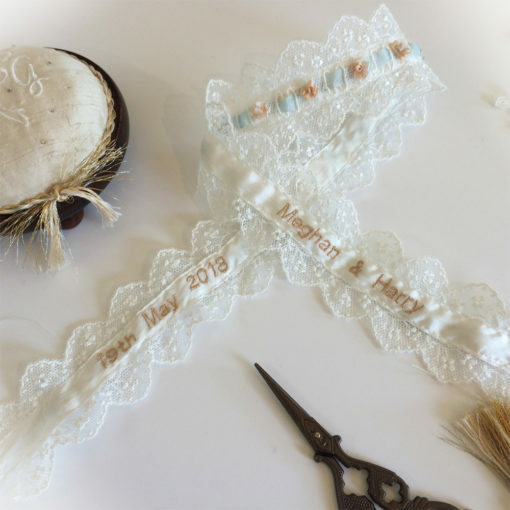 So would you like to personalise your wedding garter with your names and wedding date? 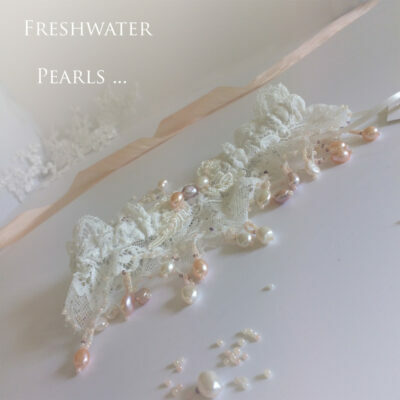 First choose your wedding garter and add it to your shopping basket because some have a text option included already. This personalised text is machine embroidered in blocks of 18 characters and spaces. 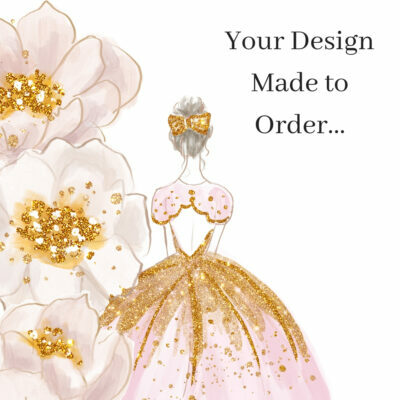 You choose your embroidery colour too. If you would like your personalised garter to have hand embroidered text, the script would be slightly larger and around £9 a letter. Please ask for a quote to make sure it will fit on your band.